Toronto Public Health is recommending the city call on national and international organizations to reduce the spread of false information about vaccines. City hall should call on national and international organizations to combat the spread of false information about vaccines, the city's top medical officer says. In a meeting on Monday, April 8, Toronto's Medical Officer of Health, Dr. Eileen de Villa, will advise the board of health to ask Health Canada and the World Health Organization (WHO) to find ways to combat what's known as "vaccine hesitancy." 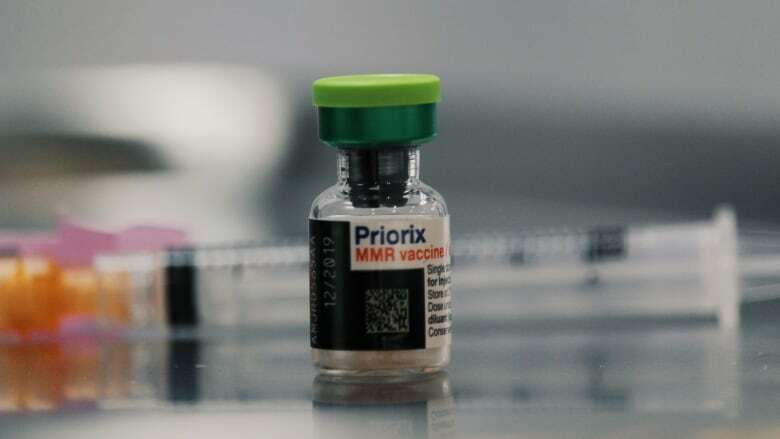 The WHO defines it as the reluctance or refusal to vaccinate and identifies it as one of the top 10 threats to global health in 2019. In Canada, about 20 per cent of parents are vaccine hesitant, according to the report de Villa will present to the board. "False information is being spread and a lot of it is being spread on the Internet," said Associate Medical Officer of Health Dr. Vanita Dubey. "That is impacting parents' ability to be confident about choosing vaccines for their children." 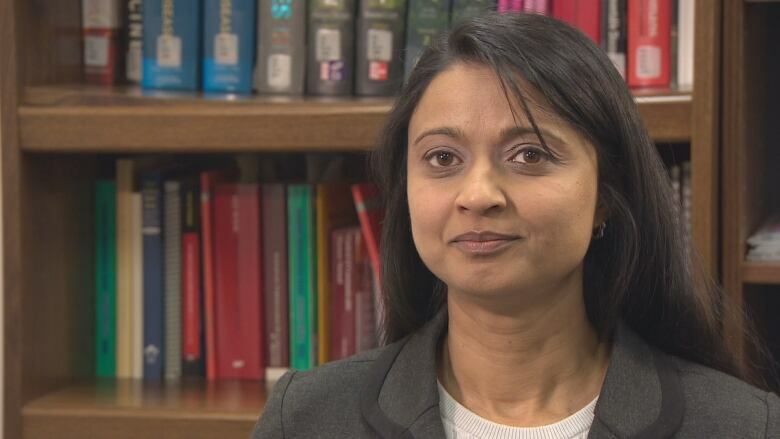 Though vaccine hesitant parents have concerns about immunization, Dubey says they are not part of the five per cent of Canadians who are firmly anti-vaccine. Additionally, Dubey said Toronto Public Health is recommending the board ask the WHO to establish a framework around false information about vaccines, similar to that of tobacco, which will ban anti-vaccination groups from advertising. The deliberate spreading of misinformation on social media platforms is "a real worry," according Board of Health Chair Joe Cressy. "In 2019, we should not be in a position where at Toronto Public Health, we are reaffirming that which science proved a century ago," he said. "The impact of the anti-vaccination movement is having devastating consequences for public health." Cressy says the city will be implementing a comprehensive strategy to fight vaccine hesitancy. It will include a public-awareness campaign about the importance of vaccines and looking into banning advertisements with misleading information on city-owned property. "We don't allow advertising for guns or tobacco on our TTC vehicles or on our public buildings," he said. "Nor should we allow deliberate misinformation related to vaccines on city property." 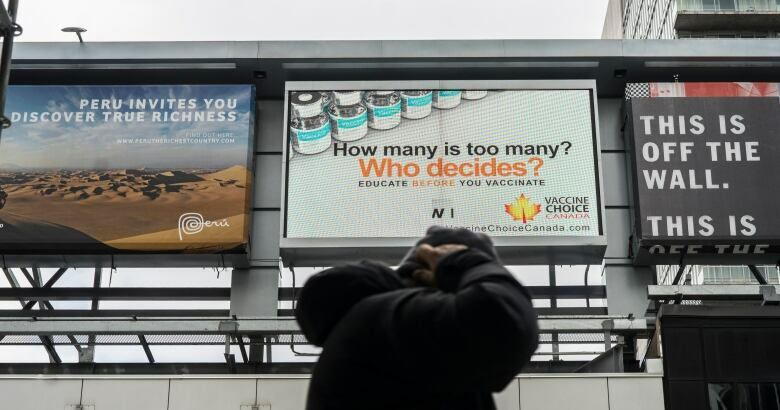 In February, a series of anti-vaccination billboards went up around Toronto, but were taken down about a week later. They were paid for by Vaccination Choice Canada, a non-profit group that says its goal is to "inform the public about the existing and emerging scientific research literature evaluating the risks, side-effects and long-term health effects of current vaccination policies." Cressy says the consequences of misinformation have been deadly in parts of the United States and Europe. "Once nearly eradicated diseases are again on the rise and lives are at risk because of it," he told CBC Toronto. Toronto Public Health has confirmed the city has had two cases of measles in 2019. On average, there are about five cases of the disease per year in Toronto. Meanwhile in British Columbia, an outbreak has resulted in 21 confirmed cases of measles, according to the province's Centre for Disease Control. "In 2019, nobody wants to see the devastating consequences of an outbreak," Cressy said. "We should've put that to bed a century ago," Cressy said.